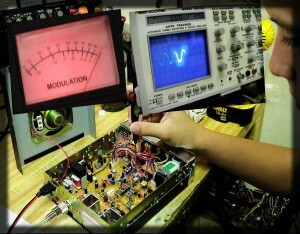 Circuit Master CB specializes in CB Sales and Repair as well as custom modifications. This includes repairing radios to factory specifications, tuning and installing aftermarket modifications including echo “connex boards”, sound toys and heavy duty final power upgrades. We also offer a complete line of CB radios, microphones, accessories and custom antenna’s for every application including installation kits for those do it yourself types. You have the option to drop your radio off at our shop for service or just drop it in the mail and we will repair/update it for you and then return it via UPS or USPS. Mail in details. If it is not possible to bring your trucks to our location we offer on-site service for customers with three or more vehicles. Give us a call with questions about this service.